“How long have you lived in Galway?” I recently asked David Sherman. He told me, “Sixty-three years!” “No. kidding,” I responded. I then asked, “How old are you?” He smiled, as usual, and said “Sixty-three years!” If you don’t know Dave, he can usually be found at Galway Market in the morning with a cup of coffee in his hand. Maybe you have heard of city-slickers who have moved to the country for its beauty and serenity, who have taken offense at the barnyard smells of farmers spreading manure on their fields. Thankfully, I haven’t heard of such a complaint here. Maybe, it is because there are so few farms. Urban expectations do, however, bring about changes in rural life. 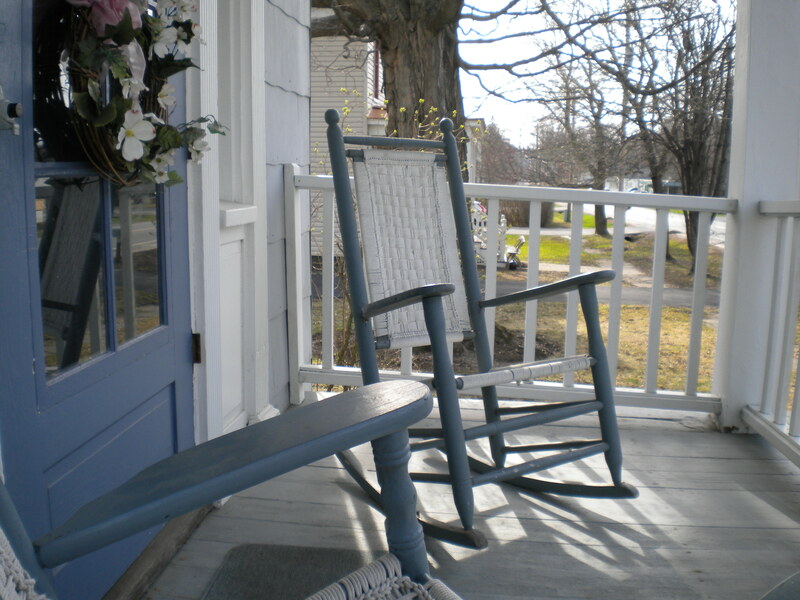 If a person looks at their home as the perfect get-away from the demands of the work week, it makes it easier to be disconnected from community, unlike other days when both work and home were in the same place. Bumping into “Dusty” Rhodes at the post office the other day, we got to talking about this trend towards “rurban,” and he shared with me an interesting fact about how many new folks moving in get to know their neighbors through many of Galway’s volunteer organizations. There are many ways for Galway residents to connect. Young families tend to meet each other through their children’s school activities. There are other ways, such as volunteer organizations ( Lions Club, Lionesses, Galway Fire Department, Galway Ambulance, Galway Players, Galway Library, Galway Preservation Society, Senior Citizens, etc) and churches (of which there are many for such a small town). To counter this tendency to be disconnected is one of the aims of this booklet. Hopefully, if you are a new resident, you will get to know some of your neighbors and interesting facts about Galway. Let’s get back to the topic of home, as you have made Galway your home. Martha and I have raised three daughters here. Our greatest riches are not found in the few items we have managed to purchase over the years. These tend to wear out and get discarded. Our greatest treasures are to be found in our memories of good times with family and friends here in Galway. One of the best things about living in the same place is that our children can come home, home to their memories! 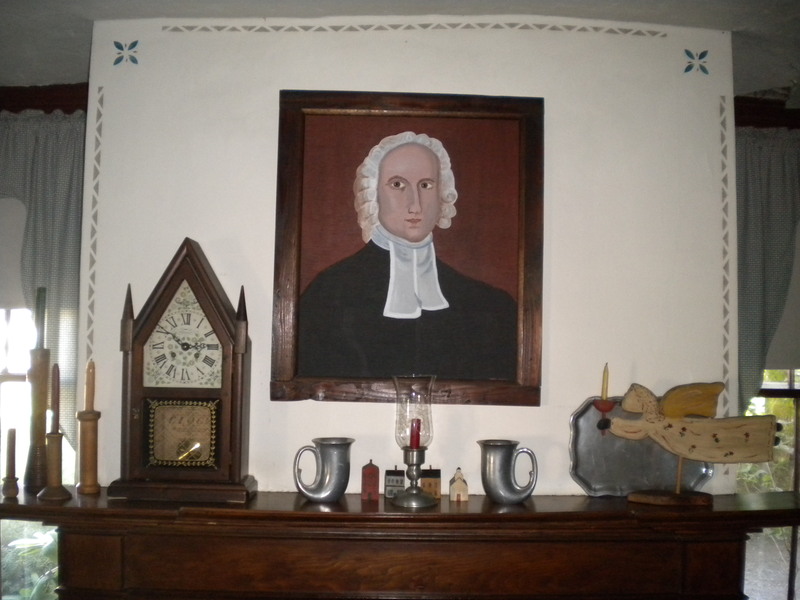 The same picture of Jonathan Edwards hangs over the fireplace mantle that was there when they played with their toys on the living room floor. The same backyard (missing a swing set) is there to greet them. The same sub or pizza can be purchased at Galway Market. Like your family, we Brandows, have our own Christmas traditions that make the holiday distinctively ours. Coming home is to reconnect the past with the present. Galway, to me, has this special quality. It is what you might call the “historical present”. 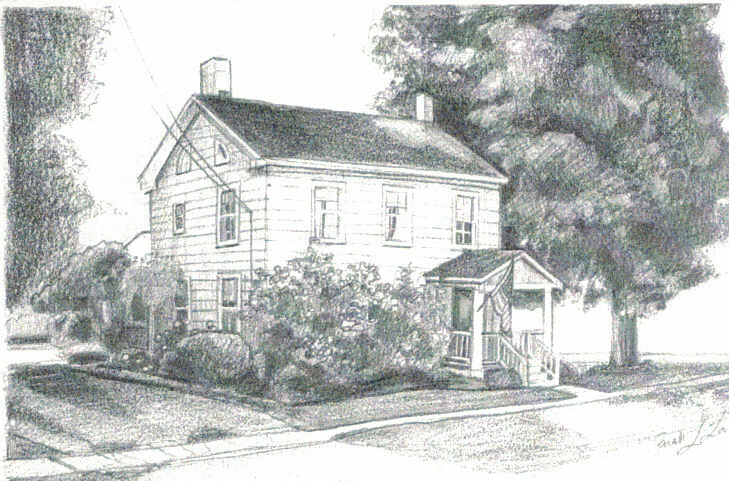 Our house was built-in the 1830s. The molding and the wide plank floors give us a connection with days gone by. When I stand behind the pulpit to preach and look over the congregation, knowing that the church is 221 years old and the building itself pre-dates the American Civil war by thirty years, I can’t help but think of those farmers and merchants who lived here in Galway and the preachers who opened up God’s word to them in the past. There is such a connection to the past here. The longing that we all have for belonging and our desire to be tied to a place, to have a place to call home . . . and the desire to have a sense of inner peace in which everything is working the way it should be, is what the Hebrew word “Shalom” is all about. It is a God-given desire that only He can meet. You may be like us. We’ve been in Galway for a long time. Our roots have had time to grow deep. We haven’t been transplanted often like military families who move every few years. But even Galway, with all its fond memories, will not be our home forever. Our life here in this world is temporary. We are all as seasonal as this year’s crop. If I lived my entire life here in Galway, there will come a day when I leave it. This is the way it is. People have come and gone from Galway since the days of its first settlement. Generations have come and gone. Many venerable Galway houses have seen this turn-over. People in Galway have lived and died, and if stories of their lives were not written down or passed down to their offspring, their memories of Galway, would have died with them. Such is life. The Bible says. ‘What is your life? You are a mist that appears for a little while and then vanishes.” (James 4:14 b). Life’s span in the big picture of things, is like your breath made visible on a cold winter’s morning. In this world we have no abiding address. One day our correspondence will be returned and marked “deceased.” One day we will live here no longer. Are you ready for the movers? That moment may occur at any time. Jesus, on the eve before His death, told His disciples not to be troubled. Although He would depart from them through death, Jesus told them that He would not be gone for good. He was just going ahead of them to prepare a place for them. They were going to have a new home with him in heaven. Dear Reader, Jesus is the ONLY way to get there! Jesus spoke these words on the eve of His departure from this world. He came from heaven and to heaven He was returning. Why did He come in the first place? Here it is in this text! Jesus came on a benevolent mission. He came to prepare a way for us. What was the way? It was the way back to heaven and favor with God. We have all strayed from God. Our willful defiance posed a problem to the Holiness of God. Justice must be carried out. The soul that sins shall die. The amazing grace of God has been made known in that God become a man, lived a sinless life, died in our place and rose from the dead. At the cross justice and mercy kissed! As a result of Christ’s coming, living, and dying for us, the standard of God was not lowered and the love of God was extended. That God would take an interest in you and me and seek to rescue us is truly amazing! It is amazing grace! Have you thought that God was against you? I have Good News, there is no one who cares for you more than God. He can untangle the messes we get into in this life, and there is nothing to compare with the welcome that will be found in heaven, the home that He has prepared. Why push God away any longer? Hear the invitation of Jesus, ” Come to me, all who labor and are heavy laden, and I will give you rest. Take my yoke upon you, and learn from me, for I am gentle and lowly in heart, and you will find rest for your souls. For my yoke is easy, and my burden is light.” (Matthew 11:28-30). This entry was posted in Issue One - Summer 2010. Bookmark the permalink.